September 13th - Isen event at 13:30 PM PDT will be rescheduled to 10:30 AM PDT. September 19th - Isen event at 13:30 PM PDT will be rescheduled to 10:30 AM PDT. 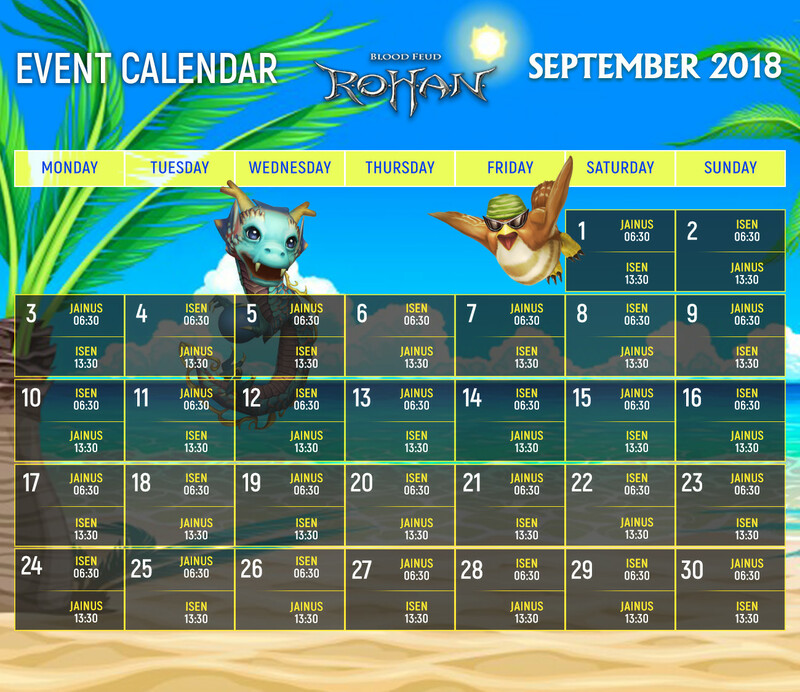 The calendars have been updated. We apologize for this inconvenience, it was a typo error that we have already corrected. Hi Vampyre8, weekend events are announced separately, this thread is for GM events only.